Sometimes it annoys and confuses me, but most of the time I really appreciate the little gagdets we have in life. 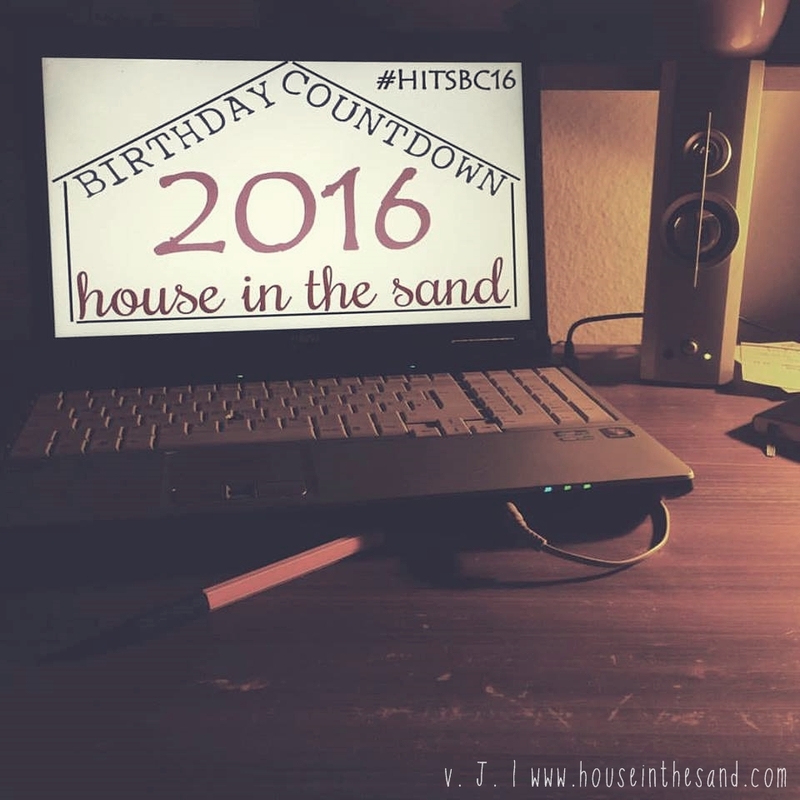 Therefore I'd like to write a little post about what items I use when I create content for house in the sand. I often find myself reading posts about what other bloggers use and think they're really helpful. There are a lot of people who curse technology, but I honestly think that if you're aware of it and use it wisely, it helps you get some fantastic results. Before you start reading, please keep in mind that I take this job very seriously and decided to invest in the items below. It took me a while to buy them all because a lot of them are quite expensive. This is in no way a "showing off" post. If you're looking for equipment, take your time and do your research - that's the best advice I can give. I did not name all brands for all of the items because some of them really don't matter to me. If you want to know which brand certain items are anyway, feel free to get in touch. laptop: of course this is the most important bit. I couldn't write any posts without my laptop. I do prefer them over computers just because I can carry it with me. Being able to have your laptop on the road when you're travelling is pretty essential for me. I am very lucky to know an IT company who always helps me get the right laptop for my needs. I'm currently using a Fujitsu and I love it a lot. It's a great travel companion as it's not very sensitive. external hard disk drive: I end up with thousands of photographs and hundreds of videos each year, so having back ups and extra storage is very useful. speakers: let's be honest, the sound on laptops is just crap. I own speakers by Trust which I simply plug into my laptop to have great sound! Yay! 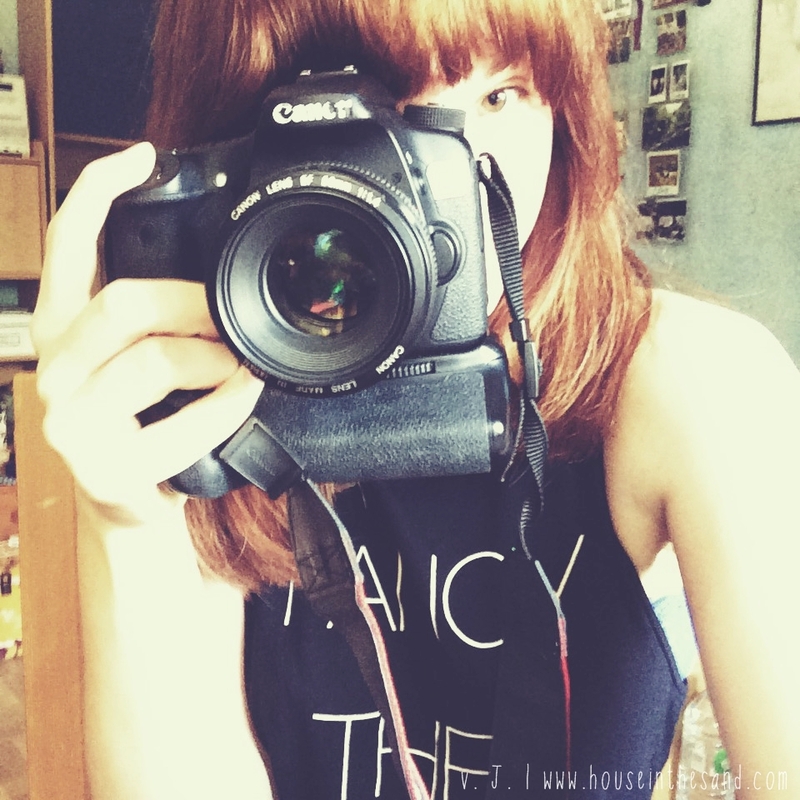 camera: I use the Canon EOS 70D. I've had it for two years now and I still adore it. It's comfortable to use, it's simple to control, yet it doesn't restrict your creativity. My favourite feature is that it's got wifi. That means you can connect the camera with your smartphone to either use it as a remote control or to save the images on your phone. battery grip: I decided to get a battery grip for my camera about a year ago. A battery grip holds extra batteries for your camera whilst it also gives your camera a square shaped form which makes it more comfortable to shoot portraits. lenses: here comes the complicated part! Getting the right lens for your needs is probably one of the most challenging tasks when it comes to shopping gear. 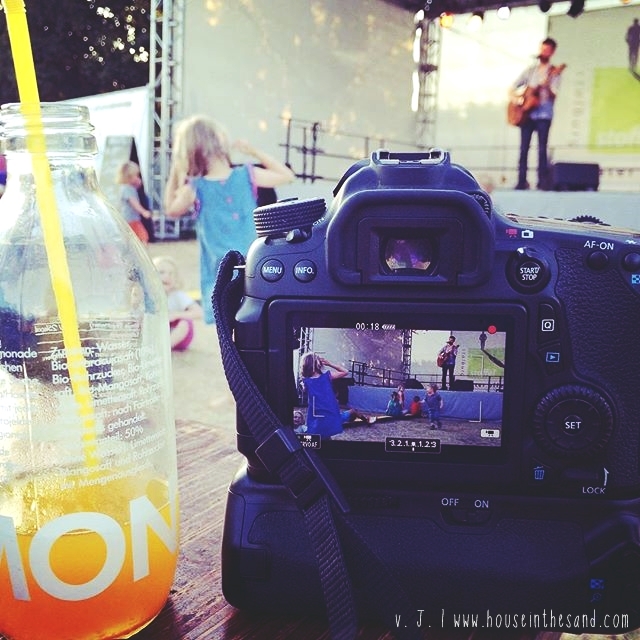 I need my lenses to serve me well in music photography, travel photography, portraits and videos. 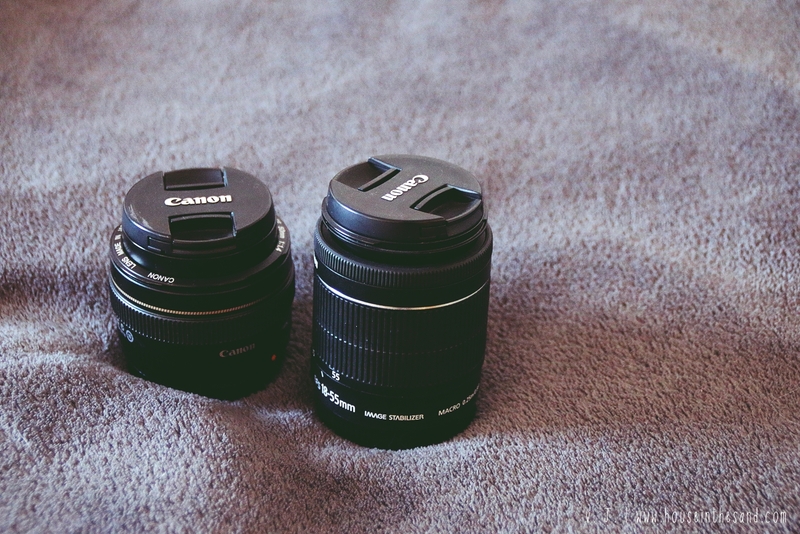 My favourite lens is my Canon 50mm f/1.4 USM. It's my go to lens for gigs. I've used it for every gig in 2015 and it's probably the greatest investment I got so far. For filming interviews I use the kit lens EFS 18-55mm, it has got a quite autofocus which is super important for videos. Knowing 2016 will consist of a lot of travelling, backstage documentaries and arena shows, I recently bought the Tamron AF 18-200mm F/3.5-6.3 lens. This one is not the highest quality lens you can get but I know I'll use regularly so it's definitely no waste of money. sd cards: these little buddies are necessary. I don't have a brand I prefer. What I rely on is buying the largest one I can afford. I own a 64GB sd card and it's just so comforting to know you won't run out of storrage on a busy day (or even week). 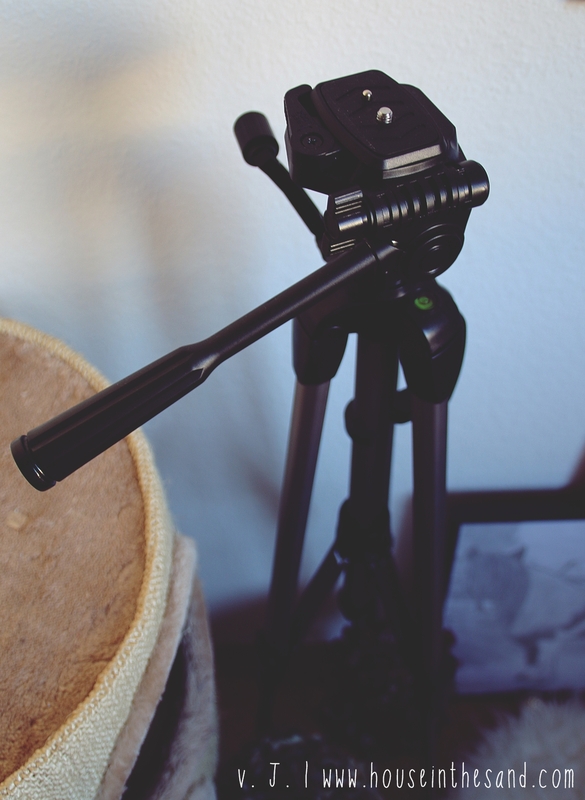 external video microphone: something that annoys me on a regular basis yet I would recommend it to everyone who films a lot. This microphone brought my content to another level, it picks up any sound incredibly well and the quality is amazing. 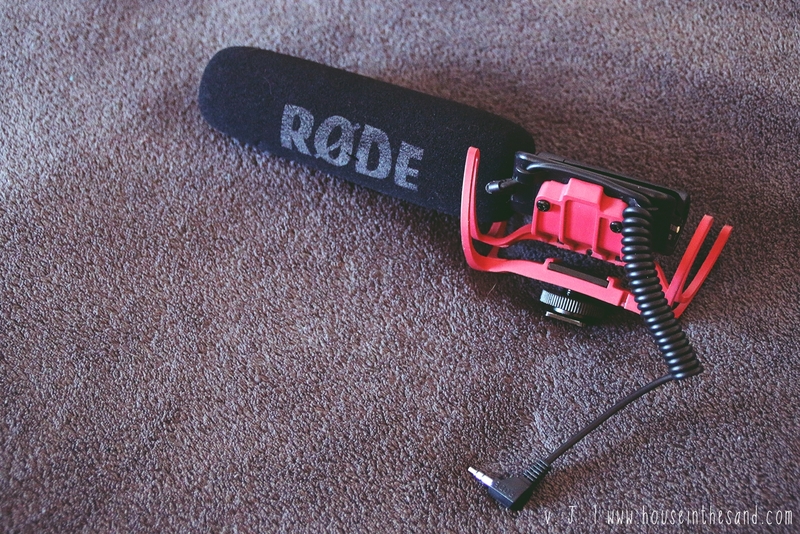 It's the Rode videomic. So yeah, it can annoying to carry it around (even though it's very light!) but it's definitely worth it and I wouldn't ever film without it again. tripods: for the video interviews it's ideal to have a tripod. I have two - the one on the picture above is "the tall one" as it has a maximum height of 2 meters. The other one I have is a super small one which I use when I have to travel and don't want to carry my massive one with me. Putting it onto a table works well enough. polaroid & film: no essential but something I love dearly. A little while ago I upgraded from the Instax Mini 8 (great camera!) 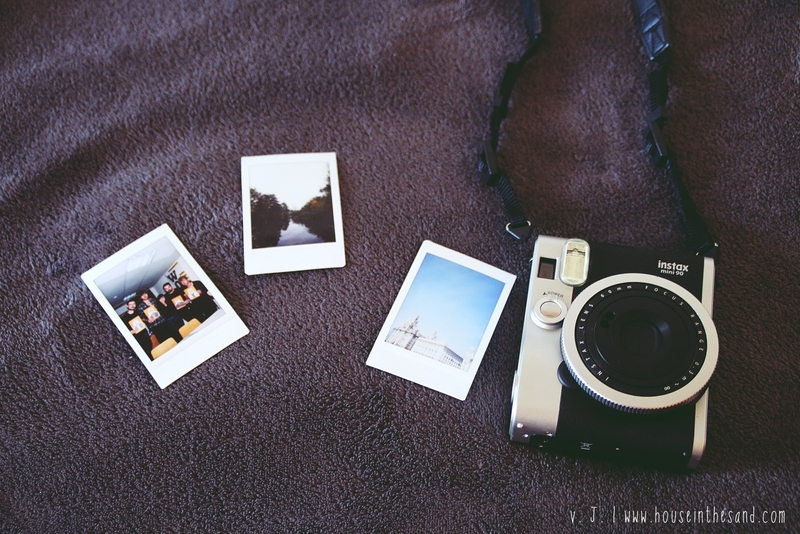 to the Fujifilm Instax Mini 90 Neo Classic. I absolutely love those instant photos and really treasure my growing collection. phone: phones... those little things we seem to be addicted to. But I actually need mine for work. Social Media and being able to call people I work with is a must. I use the iPhone 5s but my contract is about to let me get a new one. Despite what a lot of people say, I do love Apple so I'll stick to it. music player: of course the music blogger needs a music player. Again, Apple knows how to make me happy and so I'm using the iPod 5 with 64GB storage. headphones: what is a player without headphones? Here I'm just using the in-ear headphones that came with my iPod. 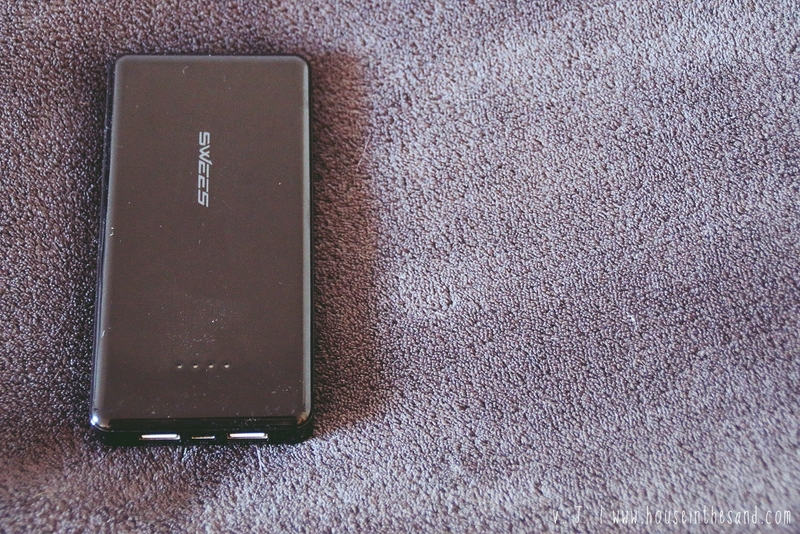 portable mobile charger: aka life saver. This little buddy is a charger for your phone (or any device you can connect via USB). It's so useful when you need google maps on your phone to navigate you to wherever you need to go. Phone batteries die so quickly so I think having one of those in your bag is very sensible. I think I covered everything I could think of that I use for creating content.